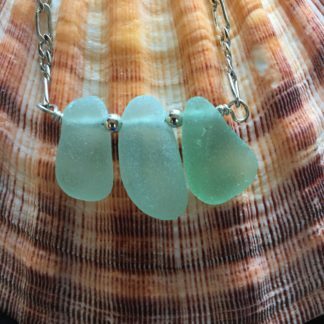 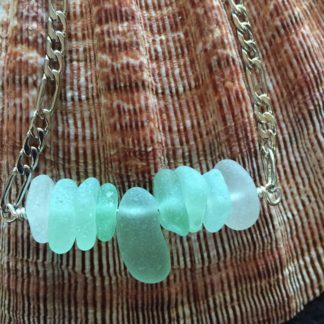 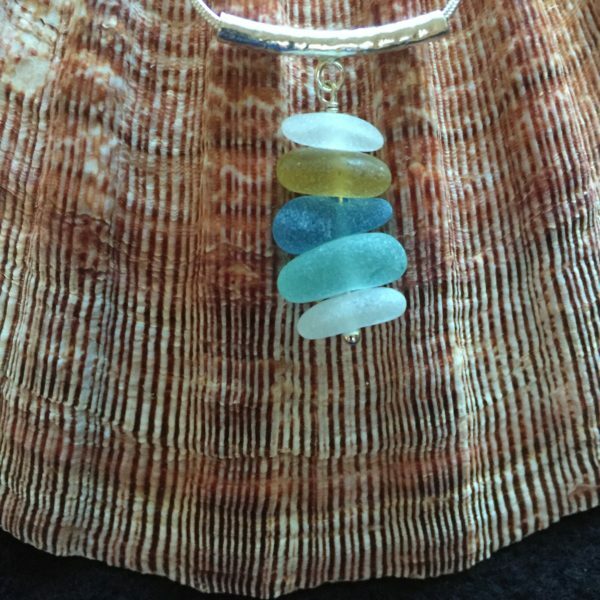 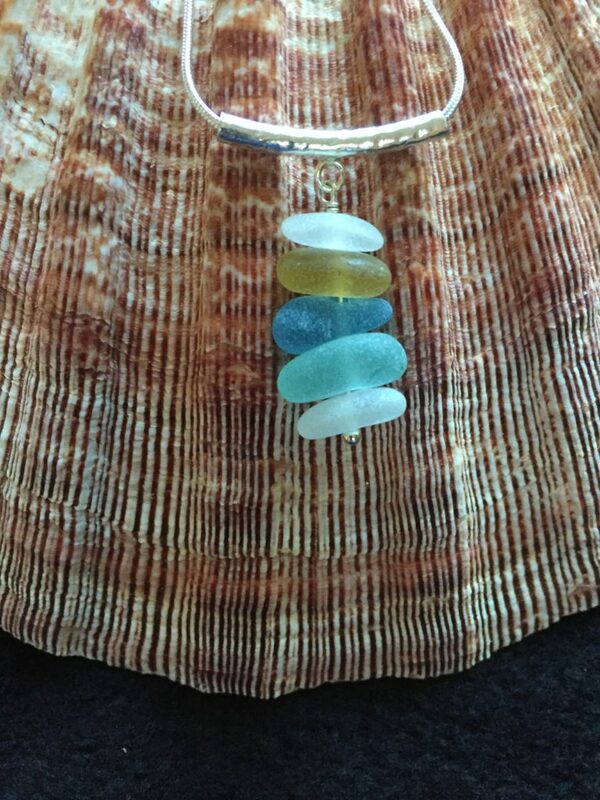 View cart “Green Sea Glass Necklace with Quartz” has been added to your cart. 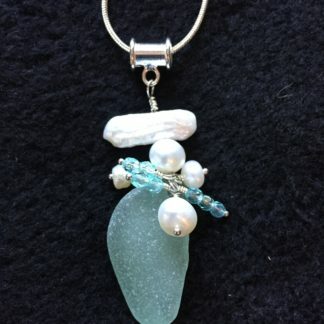 This very elegant sea glass necklace, is made with very small pieces of unique colored sea glass, which has been finely drilled. 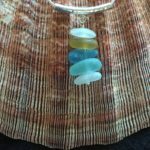 The glass is attached with a sterling silver wire, onto and sterling silver tube. 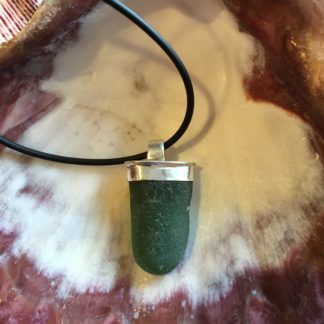 This piece can be worn daily. 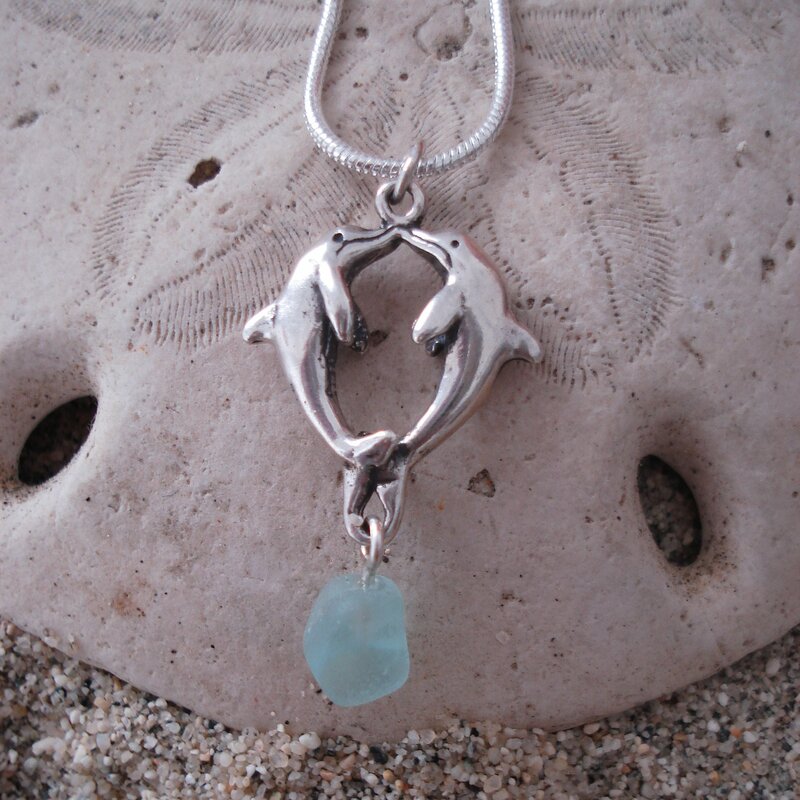 It comes on a 16 inch sterling chain. 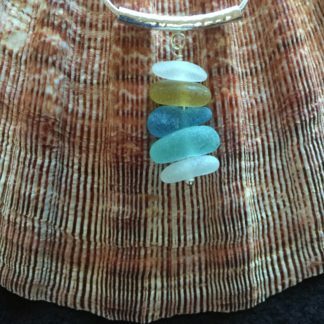 Location – sea glass is from England.